The Hillstrom Museum of Art, with the support of the Shakopee Mdewakanton Sioux Community, presents a lecture titled “A Survey of Contemporary American Indian Art,” delivered by Jaune Quick-to-See Smith, Sunday, March 8, 2009. This lecture begins at 3:30 p.m. in Wallenberg Auditorium, Nobel Hall of Science on the Gustavus Adolphus College campus. It is free and open to the public. Quick-to-See Smith is a nationally acclaimed Native American artist, activist and curator who served as a juror for the exhibition Migrations: New Directions in Native American Art, currently on view at the Hillstrom Museum of Art through April 19. 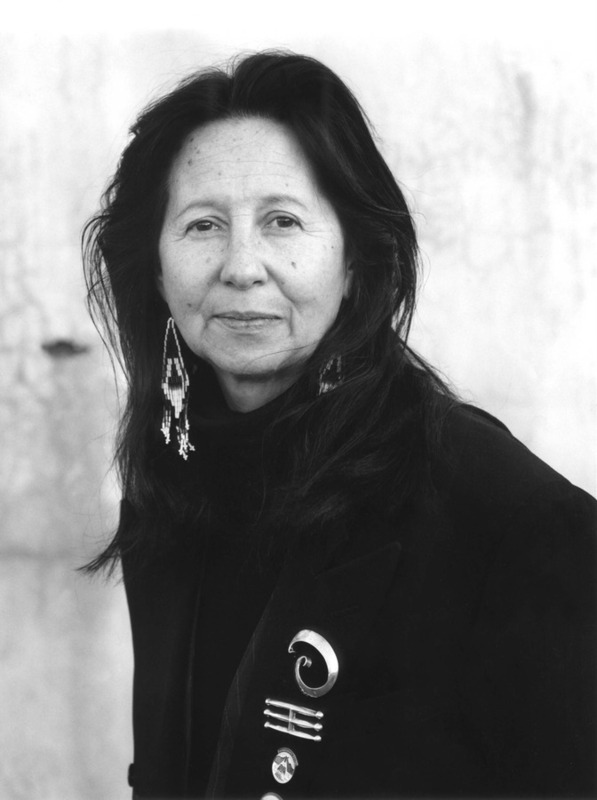 She is considered one of the foremost Native American artists today, and her works are found in the collections of the Smithsonian Institution, the Museum of Modern Art in New York, and the National Museum of Women in the Arts in Washington, D.C. She has lectured widely, and, among many other honors, was given a Lifetime Achievement Award from the Women’s Caucus for the Arts. An enrolled Flathead Salish member of the Confederated Salish and Kootenai Nation, Quick-to-See Smith calls herself a “cultural art worker.” Elaborating on her Native American worldview, her work addresses human rights and environmental issues, as well as today’s tribal politics, with a keen sense of humor and insight. Quick-to-See Smith’s lecture is presented by the Hillstrom Museum of Art with support from the Lecture Series, the Women’s Studies Program, the Department of Art and Art History, and the Ethel and Edgar Johnson Endowment for the Arts, all of Gustavus Adolphus College, and the Shakopee Mdewakanton Sioux Community (headquartered in Prior Lake, Minnesota). Sunday’s lecture begins at 3:30 p.m. and is free and open to the public.